Mold is a fungus that reproduces by creating spores. Mold spores get into the air you breathe inside your home and cause health issues for you and your family. 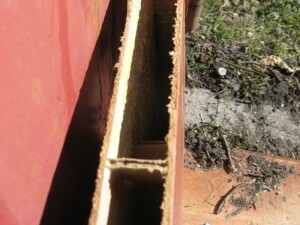 Mold thrives where there is moisture. Keeping moisture out is harder than it may seem. There are obvious sources of moisture you can watch out for such as leaks in the plumbing and roof. But there are other ways moisture can get in that are harder to control. Steam from cooking and bathing can encourage mold growth. Condensation is a problem too. It is important to have a professional to come and give your home mold inspection. Iowa Home Restoration & Repair, LLC has the experience and equipment to inspect your home for mold. Why Use a Professional for Mold Inspection in Iowa? 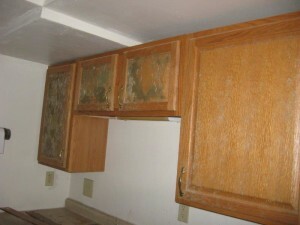 Mold inspections should be done by a qualified mold inspector who has formal training and experience. The professionals at Iowa Home Restoration and Repair follow all EPA and OSHA guidelines as well as industry certification protocols. Let the professionals at Iowa Home Restoration & Repair, LLC give your home a thorough mold inspection. 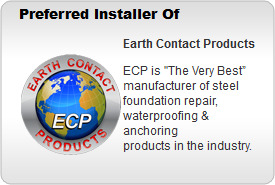 If we find mold, we have the experience and products for mold remediation. Iowa Home Restoration & Repair, LLC does both mold testing and remediation. We use MICRO (Mold Inspection Consulting and Remediation Organization) for certifications. You and your family will have peace of mind when you let Iowa Home Restoration & Repair, LLC give your home mold inspection and make sure that the air you are breathing is safe. Contact us today!